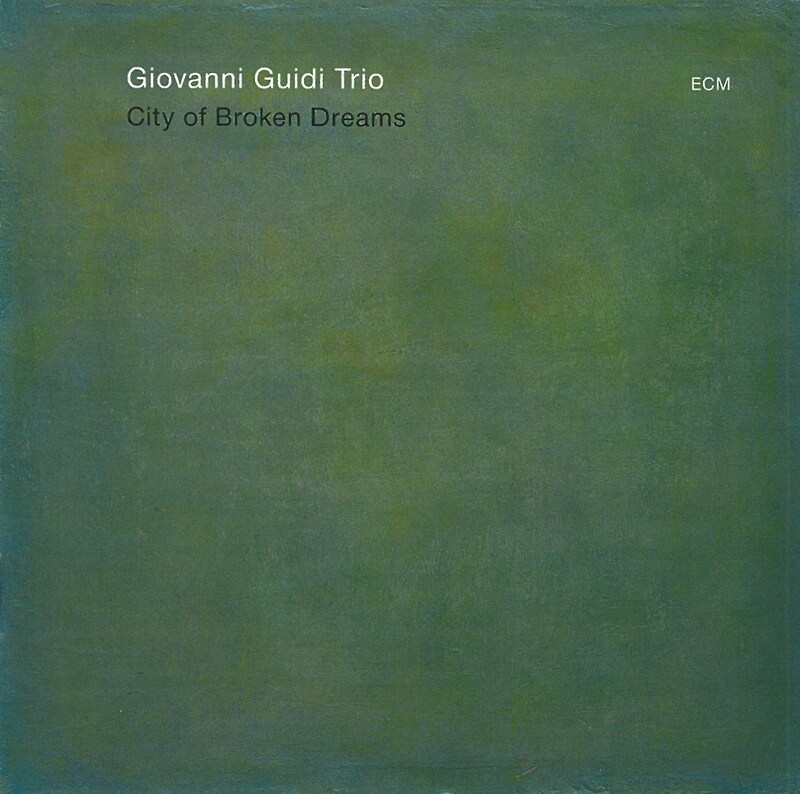 Italian pianist Giovanni Guidi was not yet 30 when he recorded City of Broken Dreams, his ECM leader debut. Not only is it a trio album of crisp technical edges; it also welcomes to the fold an artist coming into his own as a composer. Fully schooled on Enrico Rava’s Tribe, he joins bassist Thomas Morgan and drummer João Lobo for a set of itinerant balladry. The title track and its variation begin and end the album’s journey. Snaking contours therein describe passage from gentle introduction to long goodnight. Like the outer frame, the inner picture is one of gentle spells and molecular grooves. From the lyrical and emotionally honest “Leonie,” one might think this was a trio decades in the making. 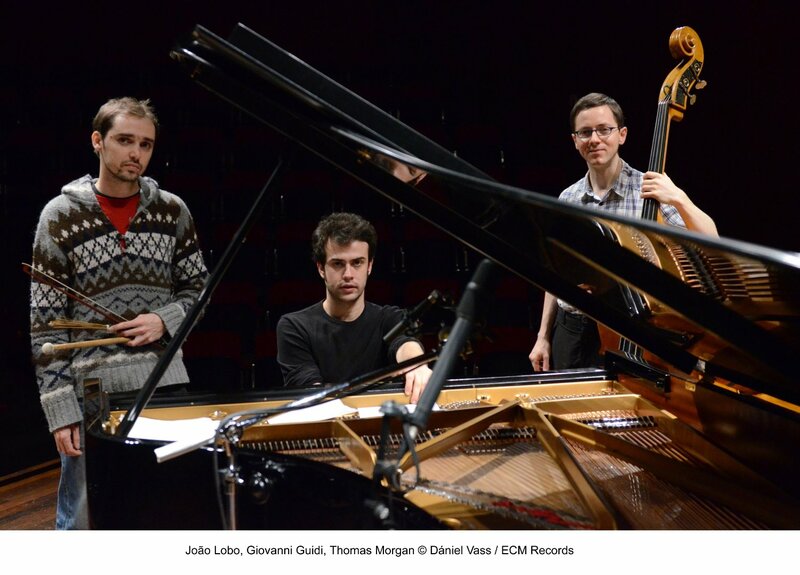 The musicians’ democratic finger-painting renders speed a non-variable on the path of expression, working toward a unity not heard on the label since the Tord Gustavsen Trio made its own debut with 2003’s Changing Places. Still, one can’t help but squint into individual floodlights breaking through the haze. Morgan stands firmly the center of this album. His contributions alone make the album a must-have for fans of the instrument and/or its player. He is just as comfortable feeling his way through the geometric interplay of “No Other Possibility” as he is wavering like a reflection behind the sweeping pianism of “The Way Some People Live.” Lobo, for his part, is a drummer of scope. On “Just One More Time” he swings in the way that Paul Motian did before him—that is, with a meticulous stagger. His penchant for subtlety on the cymbals is thusly noted, evoking a cautious stroll through “The Forbidden Zone” and revealing images in the afterglow of “Late Blue” as if it were a scratchboard. Not to be overpowered, Guidi dialogues with his bandmates in “The Impossible Divorce” with a synergy of wing and wind and waxes poetic on the nature of waves in “Ocean View.” He is one possessed of an explorer’s intuition and, like the album as a whole, is far more interested what lies beneath the rubble than what that rubble once signified.